This model is based on theoretical biology, so if you missed college-level biology classes you may find it a little strange at first. But please stay with me, as it is quite simple and powerful, once you understand it. A group of scholars in the new field of evolutionary developmental biology (called “evo-devo” biology for short) propose that evolution and development are each equally basic, opposing, and functionally different processes of change that regulate the future of living systems. We’ve colored these two complementary future-creating processes green and blue in this guide, to highlight their difference. A group of systems theorists in the Evo Devo Universe research community (I am a co-founder), propose that evo-devo models in living systems may be applied to all complex systems that replicate, including stars, pre-organic molecules, life, ideas, behaviors, technologies, and even our universe itself. Evolutionary development (evo devo) is thus proposed as a simple conceptual model for understanding change in many systems and at many scales. From the evo devo perspective, the two life processes of evolution and development combine to produce a third process in complex systems, adaptation or utility, a mix of green and blue that we color purple in this guide. Evolutionary processes involve divergence, unpredictability, variety, exploration, and experimentation. Evolutionary change looks treelike in its growth. Think of Darwin’s Tree of Life, creating all the variety of species on Earth, an image of which can be seen on the left in the picture above. Evolutionary search is how living systems explore their possibility space. One can identify treelike growth not only in biological evolution, but also in social, economic, and political evolution (ideas, behaviors, laws, institutions), technological evolution, and in the universe as a system. Whenever we see treelike, divergent, exploratory growth in any system, we can use the “E word” and propose that evolution is the primary process, as long as such growth persists in that system. Developmental processes, by contrast, involve convergence, predictability, conservation, and protection of the system. This change process looks like funnel-like, as it reduces variety, and moves the system toward some “common” or “optimal” outcome. The funnel in the picture above is a protein folding funnel, an energy landscape that guides the billions of ways a protein can fold into a 3D structure inside human cells, to end up with one common, optimal form, seen in all cells. As they move toward their optimal state, developmental processes also protect complex systems from environmental disruption, and provide directionality, and (rough) irreversibility. As it proceeds from one developmental stage to the next, development is also cyclical. All developmental processes move from a “seed” (initiating system), to a mature system, to another seed, starting the replication cycle again. Engaging in development, including the stable development of immune systems, and morality (system-protective thoughts and behaviors), is how living systems protect their complexity in the environment. Their developmental genes and the physical laws and constancies of the environment, allow them to cycle predictably through a sequence of activities that, in typical environments, will keep them replicating, so they can continue to evolve (create, vary, innovate). Whenever we see funnel-like, directional, cyclical growth in social, economic, or technological systems, or the universe as a system, we can use the “D word”, and propose development is occurring. Perhaps the most valuable of the Three Ps categories, when we can find evidence for it, is development. We foresight professionals often classify events and processes into sets of scanning categories, such as STEEPS (Scientific, Technological, Environmental, Economic, Political, and Social), a useful simple framework we’ll explore later in this chapter. The more we learn see STEEPS events and processes that are future predictable, the better we get at generating possibilities and preferences that can take advantage of those probable futures. We do less unproductive speculation on implausible scenarios, strategies, and possibilities, and can help our clients to stop fighting trends that look inevitable. We open our minds to learning again when we stop proclaiming that the future can’t be known, and we get busy figuring out parts of the future that are predictable today. Searching for social predictability has a long history. Statistician Adolphe Quetelet’s coined the term “social physics” (later named sociology) in A Treatise on Man (1835 in French). He proposed that many societal trends and events are predictable in statistical and probabilistic ways. Philosopher August Comte soon took this perspective to an unsupportable extreme in A General View of Positivism (1844). Comte’s positivism proposed that all knowledge, including social knowledge, must ultimately derive from logical and mathematical precepts and laws. But while logic and rationality have their uses, they are also a seriously incomplete way to understand the world. Probability and statistics are far better lenses to understand most change than logic, laws, and causal equations. Intuition, emotion, and possibility have proven to be as important as rationality and causal necessity to understanding the world. A number of early 20th century futurists championed social predictability, perhaps most notably Ossip Flechtheim in Germany, who first coined the term “futurology” in the mid-1940s, and proposed it as a new science and discipline of social probability and statistics. But modeling and probabilistic prediction of societal events turned out to be much more complex and difficult than 20th century society had patience or money for. Probabilistic prediction of social behavior has remained a marginal effort until recently, and sociology, economics, political science, history, and other disciplines have been underquantified and underpredictive as a result. Yet the recent emergence of big data, predictive analytics, biologically-inspired machine learning, and collective intelligence and foresight platforms give us great hope that probable futures will finally become seen as fundamental as the possible and the preferable in all our academic fields in coming decades. One late 20th century foresight professional who advocated societal predictability was Pierre Wack, the first director of Shell’s Scenarios Group. As leading futurist Peter Schwartz describes in his excellent The Art of the Long View (1996), Wack’s group at Shell was one of the first to take scenario analysis seriously in the corporate world. Scenarios are stories focused on exploring the “most important, most uncertain” futures relevant to the firm and its strategies. Wack was a systems thinker, which in addition to good historical knowledge and a keen, inquisitive mind seems necessary to good foresight regarding societal relationships, opportunities, and constraints. Wack proposed existence of various “predetermined elements” shaping our societal future. He collected a large number of these, including economic globalization, the spread of rights and freedoms, and various demographic and technological trends. 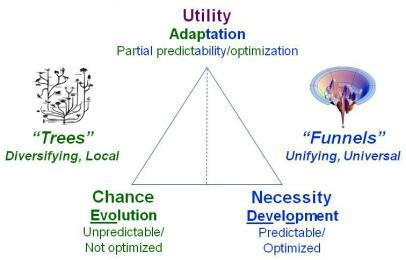 We call all such predictable elements developmental in the evo devo foresight model. Wack proposed that their discovery would function as a key constraint on scenario generation. Once discovered, they allow good futurists to do better, or what he called “second generation” scenario work. By discovering all the predictable societal elements we can, we take otherwise plausible scenarios off the table, and gain a much clearer forward view. Futurists Napier Collyns and Hardin Tibbs wrote a nice article for GBN describing Wack’s thinking in this regard. 1. Women’s Rights, Now to 2050. Is the present growth in women’s rights around the world a mostly evolutionary process, a mostly developmental process, or a balanced or alternating mix of the two? As social forecasters, do we expect to see increasingly different varieties of women’s rights in ever more countries, states, and counties over time (treelike, diversifying growth)? 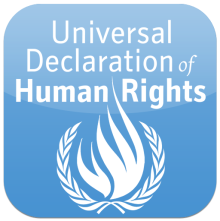 Or do we instead forecast increasing global similarities among women’s rights, and increasing convergence on some global standard, some variation of the UN’s 1948 Universal Declaration of Human Rights? Will Saudia Arabia, Mali, and other countries with what are seen today by liberal Westerners as below-average women’s rights increasingly be seen as legitimate varieties of human rights examples, to be preserved, and cherished in a world with ever more subtypes of women’s rights? Or will such outliers be seen as outmoded deviants that are increasingly more powerfully funneled, by a global process of social development, toward a new common standard? Not surprisingly, I’ve met some futurists who are so anti-prediction in their personal world models that they’ve argued we “cannot know” this future. Fighting that antipredictive bias by arguing for the existence of not just evolutionary but also developmental processes in human society is one of the ways we can improve our approach to anticipation. For my money, this is an easy forecast. Women’s rights are today experiencing a strong developmental convergence, with very secondary evolutionary divergences (different varations on increased rights) occurring within some countries, states, and counties. Minky Worden’s The Unfinished Revolution, 2012, is a good statement of this predictive position, if you accept her arguments and data. I believe helping the leaders and skeptics in an organization to understand various processes of development occurring in a firm, an industry, and in society, and helping our clients steer an ethical path toward those outcomes is one of our primary jobs as foresight professionals. 2. 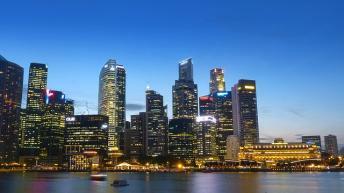 Urban Cultures and Subcultures in Megacities, Now to 2035. What will be the future of culture and subculture in our megacities (metro areas with more than 5 million people) over the next twenty years? This seems a harder forecasting challenge. In 19th century New York (not then a megacity) we saw increasing varieties of urban cultures as immigrants from many other countries came to the city, creating diverse ethnic minority populations. New York at that time experienced a dominantly evolutionary process of urban culture change for several generations. Conversely, from America’s mass production and broadcast mass media era to the early internet (1930s to 2000s), we saw an increasing homogenization, corporatization, and convergence in our big cities on certain types of urban subcultures. Urbanization and civil rights, the rise of chain-store and big box retailers over mom-and-pop businesses, the gentrification of our urban cores, the rise of mass media, and even the global reduction in urban crime since the 1990s in our wealthier cities have each been cited as examples of (developmental) convergence in megacity cultures, making them look increasingly similar. There have also been brief evolutionary swing-backs of subculture diversification within this period, as with the urban counterculture experiments in the 1960s, and our urban crime and drug epidemics in the 1970s and 1980s, which affected large cities in unique ways. But the dominant trend has remained developmental convergence on a particular type of culture and subcultures. So what can we expect for the next twenty years? Some futurists have noted powerful new evolutionary diversity in many of our online digital subcultures (new gaming, social network, activist communities) as we create an ever more participatory web. Others have documented an increasing focus on local community participation. But is that process primarily evolutionary (enabling more variety of community types) or developmental (increasingly similar types of initiatives and community qualities vs. previous eras)? Will all our new online diversity lead to more people with different political, social, and avocational interests gravitating to live in different physical spaces and housing complexes, as we saw in 1800s ethnic areas in New York, and in 1960s communes? Or will most new local communities and exurbs in our megacities look increasingly like each other, with their farmers’ markets, walkable cores, micro-parks, franchise stores, co-ops, and sustainability ethics? This is a subtler prediction case, but I would again bet that the primary trend for our global urban cultures will be even more homogenous cultural development in physical space, with every major city and its suburbs looking more like the next in their main variables, and with milder and mostly nondisruptive new evolutionary variation in the rulesets of our local communities, and in our online subcultures. These general trends seem easily predictable today by urban foresight leaders willing to look globally at megacity evolution and development. You may disagree with these bets, but hopefully, using a common language of evolution and development we can better clarify the ways we disagree, and what data we would need to help us come closer in our positions, and either validate, refine, or falsify our models.